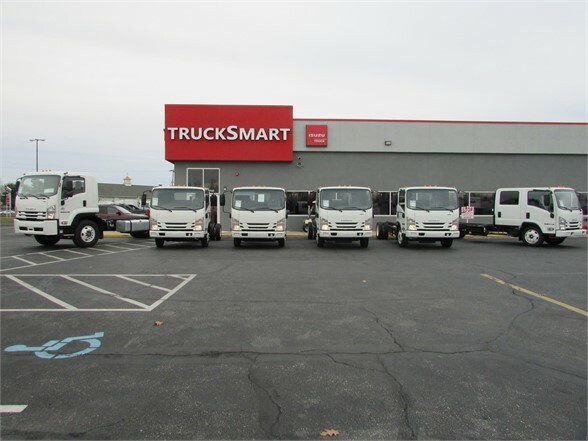 WE CARRY A HUGE SELECTION OF NEW ISUZU CAB & CHASS'S THAT ARE READY TO BE BUILT. PRICES STARTING AT $33,468. CHASSIS'S ARE NPR, NQR, NRR & FTR'S. WE ARE A DISTRIBUTOR FOR RUGBY, PALFINGER, GODWIN, SWAPLOADER AND SMYRNA BODIES. WE CAN CUSTOM BUILD THE TRUCK OF YOUR CHOICE. 34 CHASSIS'S IN STOCK! WE ALSO CARRY A HUGE INVENTORY OF BUILT ISUZU'S WITH BOXES, UTILITIES, DUMPS, HOOK LIFTS, SWITCH N GO'S, LANDSCAPE TRUCKS, FLAT BEDS STEP SAVER BOXES & HACKNEY BODIES. GIVE US A CALL AND WE'LL BUILD THE TRUCK THAT WORKS BEST FOR YOU.